The Elijah Kellogg Church, Congregational, houses the nursery school and offers support in various ways. In 2002, the congregation completed and dedicated a new addition, including offices, classrooms, a parlor and the Fellowship Hall. These spaces are used and appreciated by a variety of community service groups; the nursery school occupies two classrooms and an office, and uses the Fellowship Hall during the week. 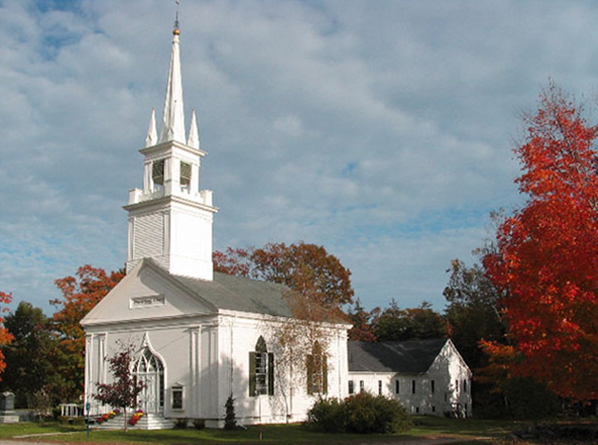 The church sanctuary, pictured above, was dedicated in 1843 and stands in Harpswell Center as a familiar landmark and spiritual home to many. The Elijah Kellogg congregation is currently in the midst of a major capital campaign to repair, improve and preserve this historic building for future generations.